Model: Mk2 340 6-Cylinder DOHC 12v 3442cc. Type: 4 Door Executive Saloon Manual Overdrive. Notes: Was For Sale (NOT BY ME) in Launceston, Cornwall on E-Bay for £19.999 (December 2018). DVLA Records show First Registered 01 February 1995 and it is Taxed until 01 April 2019. MOT Expires: 17 March 2019. According to www.newreg.co.uk This registration was first made available in May 1962 The original office for this letter combination is Lancashire C.C. 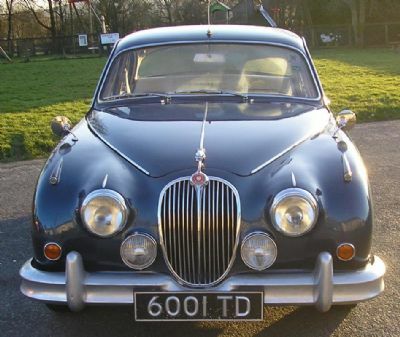 6001 TD Jaguar Mk2 340 6-Cylinder DOHC 12v 3442cc. 4 Door Executive Saloon Manual Overdrive. England Zak Pearson.